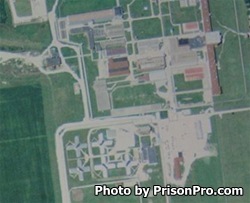 Pontiac Correctional Center is located in Livingston County Illinois. It is a maximum security institution that can house up to 2,172 adult inmates. This facility is the parent institution to Pontiac Medium security unit which houses 492 inmates. Inmates at Pontiac Correctional Center can receive substance abuse treatment, mental health development, anger management and many other services. Offenders are encouraged to take adult basic education courses and earn their GED while incarcerated here. Visitation for inmates alternates odd/even days according to the inmates last name. Because of this you must contact the institution to see which rotation they are currently in. Visiting is held everyday from 8am-2:30pm, you must arrive by 1:30pm to be processed into visitation.